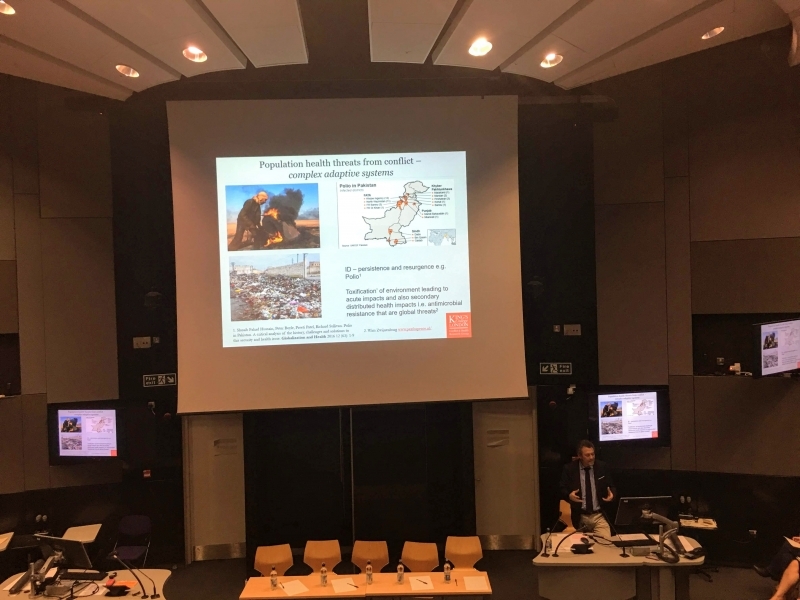 Health Professionals for Global Health hosted an event on Conflict and Health in the Middle East, at the London School of Hygiene and Tropical Medicine (LSHTM) on 1 March 2019. 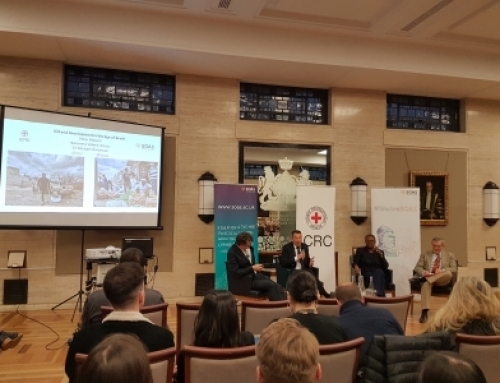 This brought together a diverse range of speakers with first-hand experience of conflict and health in the Middle East, including R4HC-MENA Chair, Professor Richard Sullivan, Dr Maryam Omar from LSHTM, Dr Yamama Bdaiwi a Syrian medical doctor at the University of Oxford, and Dr Henry Dowlen, medical doctor and previous Royal Marine. 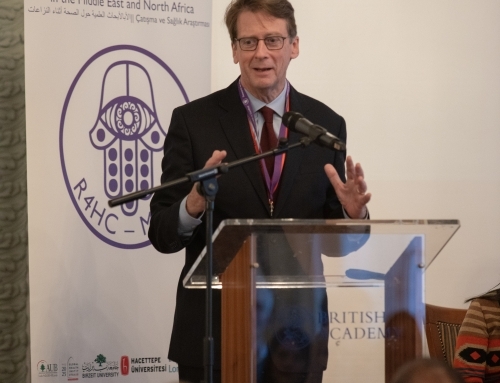 Professor Richard Sullivan set the scene for the seminar – conflicts in the Middle East are deeply embedded in its convoluted history – ethnicity, religion, colonialism, imperialism. 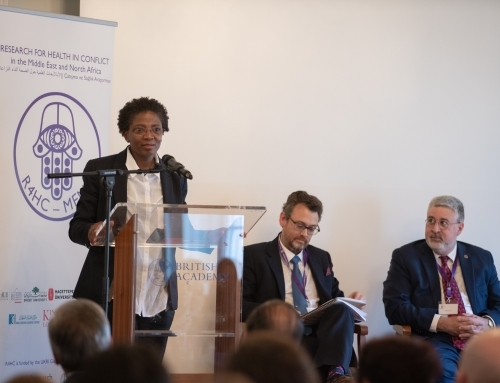 More recent and current conflicts in the Middle East have witnessed the changing conduct of warfare, the use of new weapons, increased violations of International Humanitarian Law, the securitisation of health, and increased urbanisation. The realities of “new wars” and geopolitics has had a cumulative impact on health, coupled with the endemicity of violence, resulting in the loss of health sanctity. 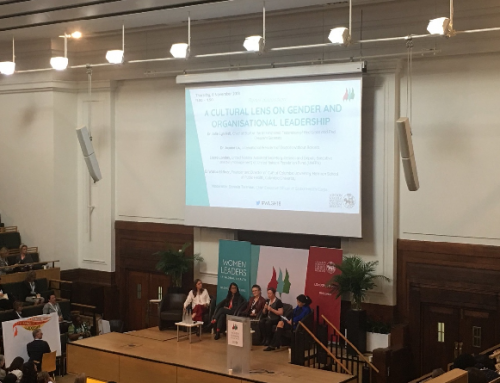 Professor Sullivan referred to the changing narrative of health in war time and protracted conflicts by R4HC-MENA’s Co-Chair Professor Rita Giacaman (Birzeit University in Palestine); it is essential that public health is reframed beyond the biomedical model to include suffering and subjective measures of health. Public health risks in protracted conflicts have exposed many heterogenous threats and drive health insecurity. Moreover, the collapse of health systems and loss of human capital in conflict affected areas alters expertise and creates a vacuum, giving rise to new health care actors – including non-state actors and armed groups. External actors undertaking development and humanitarian activities in the Middle East, including strengthening health systems, can be viewed as merely acting to achieve national strategic goals of security and stability. The result? A rise of complexity and contradiction. 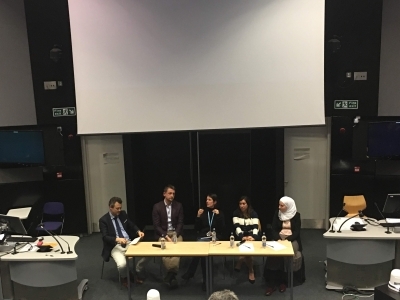 Dr Maryam Omar discussed the harsh realities of an extremely fragmented health system in Syria and coordinating the health provision for internally displaced people. The health coordination structure in northern Syria, where Dr Omar worked, is outside of the United Nation’s administration. It is divided into clusters and cross-border efforts between NGOs and international organisations. Given the highly complex situation and various actors involved in the Syrian conflict, health care has become extremely politicised. NGOs not registered with the government are unable to supply basic, essential medications without the involvement of the World Health Organisation for example, who are registered with the government. 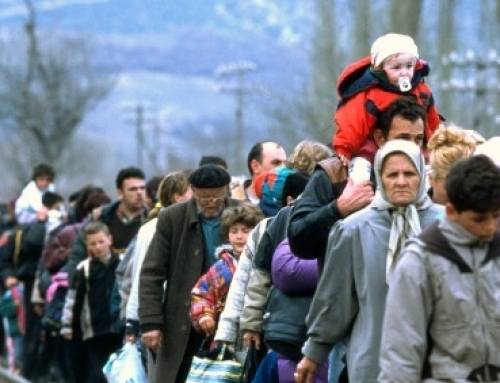 Furthermore, the ramifications facing individuals and their status – a Syrian refugee, an Iraqi refugee or an IDP – impacts their rights and which organisations are mandated to assist them. Besieged areas and overcrowded camps add to these complexities. 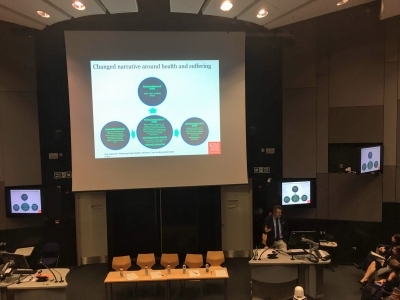 It is therefore extremely difficult to not only meet the basic health requirements of individuals, but health needs including for mental health and reproductive health are severely under-resourced. Outside of the camps, Syrian health care workers and medical students are in crisis. Dr Yamama Bdaiwi, a Syrian doctor whose own education was disrupted by the war, stated the “conflict can keep killing people after the ceasefire at higher rates than during the conflicts as a result of collapsed infrastructures and the deterioration of health care services.” While some 70% of the health care workforce have left Syria, health care workers and students who remain, face dire challenges; targeted attacks on health care workers, medics performing tasks they are not qualified to undertake, and exacerbated mental health as a result of working in conflict zones. The response to the fractured health care system is led by an intricate web of local and international bodies made up of Syrian diaspora, NGOs, and students. However, it is poorly resourced and often lacks any formal structure. What, if anything, can be done? Open access to learning resources; networking with the Syrian Board of Medical Specialities (SBOMS) and Syrian universities; leadership and management training; online training; accreditation and recognition of prior learning. Dr Bdaiwi emphasised that health care worker education in conflict is key to rebuilding Syria’s health care system. Dr Henry Dowlen reflected on his time in Yemen where he was deployed in 2017 to set up the WHO office in southern Yemen. The healthcare infrastructure was incredibly fragmented; many agencies were undertaking duplicate jobs and decided to pool their resources together. This led to the development of an Emergency Operations Centre network. However, this became extremely politicised and the structure collapsed. Dr Dowlen’s key message was that coordination standards in conflict do exist, however, people need to be actively involved in stakeholder engagement and have a thorough understanding of the realities of politicisation on humanitarian issues in order to implement effective coordination in health emergencies. The key messages from the event are: the complexities in protracted conflicts in the Middle East severely impede the global response to the fragmented health care infrastructure. In order to strengthen health systems, we need to have a thorough understanding of the history of the conflict affected areas, document experiences, provide evidence-based research, build research capacity within the region, and strengthen relationships with donors and civil society. Most importantly, structured support of local health care workers must be implemented globally if there is to be any long-term sustainable outcomes. Research for Health in Conflict in the Middle-East and North Africa, a UK Research and Innovation programme led by King’s College London, in partnership with the American University of Beirut, Birzeit University, Hacettepe University, Imperial College London, King Hussein Cancer Center, and the University of Cambridge.